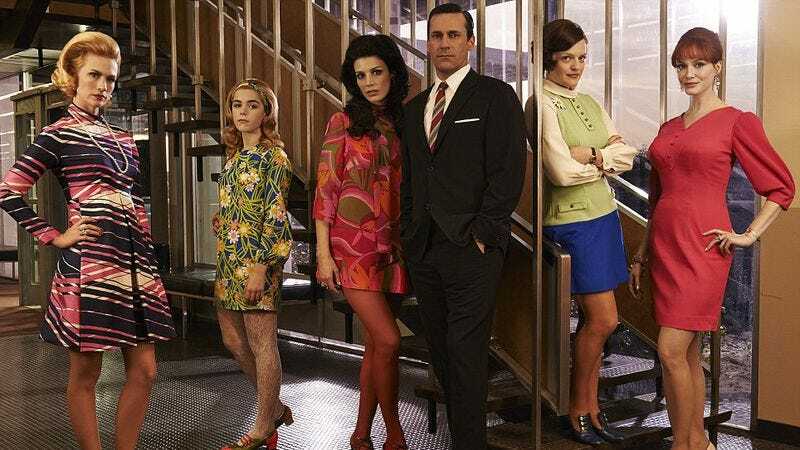 Kiernan Shipka was a fixture over the course of Mad Men’s eight-year run. Audiences watched her, and her character Sally Draper, grow from a child into a young woman, and from an occasional cast member to someone with her own plot arcs. The boys who played her onscreen brothers didn’t have the same longevity. The show used eight Bobbys over the course of its run, some of whom only lasted for an episode. Shipka recently released a list of her memories of all eight of her onscreen brothers on The List App, and it’s pretty charming. Some of the descriptions are sweet, like when she calls Mason Vale Cotton, the final Bobby, “a great kid,” or says that Maxwell Huckabee, the first Bobby she worked with, “clearly holds a special place in my heart.” Others are just hilarious, like the kid she refers to as Slurpee Bobby. Most people call the Bobby from the episode “The Wheel,” “Slurpee Bobby.” After 30 minutes of taking pictures, he was done-zo. His mom kept bribing him with slurpees from 7-Eleven. By the end, she must have owed him a lifetime supply. You can read the complete Bobby list here.